Shaped by changing climates – political as well as planetary – our understanding of security in the Arctic has morphed since the Cold War and continues to take on new forms. On August 1, 1958, the USS Nautilus slipped below the icy waters of the Beaufort Sea and set a course underneath the Arctic ice cap. This cutting-edge craft was the world’s first nuclear-powered submarine and had already broken a spate of records for speed and time spent below the surface. Now, the vessel’s crew set its sights on another feat – to be the first to navigate under the North Pole. This was a dangerous undertaking; that far north, traditional compasses stop working properly, and there was a real risk that on-board navigation might fail, leaving the men lost and disoriented underneath the prison of the ice cap. But two days later, with the help of new navigational equipment designed to work without reference to magnetic fields, the navigator of the USS Nautilus filled out his ship’s position report at the North Pole. 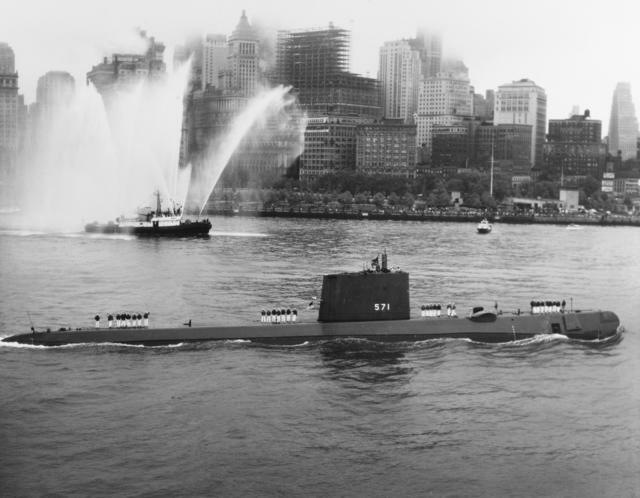 The USS Nautilus entering New York Harbor after its successful journey under the North Pole, 1958. After the Soviets sent Sputnik into orbit the year before, the United States was pleased to show off the accomplishments of its nuclear sub, with President Eisenhower glowing, “[The Nautilus’s] exploits have enhanced our prestige and increased our strength.” While it was a relatively low-tension realm compared to Germany, Hungary, or Cuba, the Arctic was still seen as an important area for American defense interests at the time. 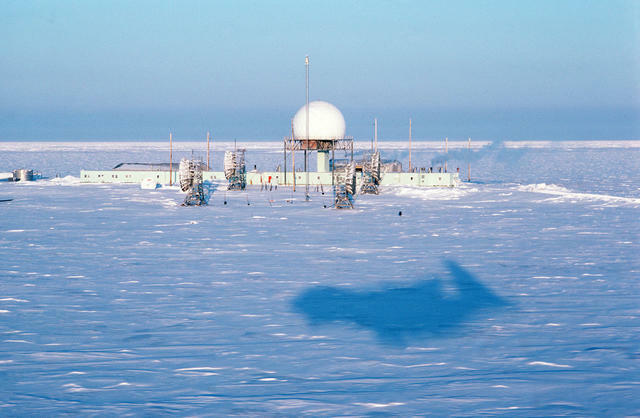 Radar outposts composing the Distant Early Warning Line were strung out along the fringes of the Arctic Circle to watch for incoming missiles, while airbases dotting the landscape housed American aircraft. These were the elements that defined U.S. Arctic security at the height of the Cold War, when Washington faced one clear adversary. In the late 1950s, American engineers even carved out a small underground city from the frigid Greenland interior to host Project Iceworm, a plan to test the feasibility of launching nuclear missiles on tracks below the ice. But when the Berlin Wall fell in 1989 and the Soviet Union crumbled in 1991, the geopolitical structure of the world was forever altered. In the decades that followed, and shaped by changing climates – political as well as planetary – American understanding of security in the Arctic would also take on a new form. Indeed, I witnessed the emergence of a modernized, multi-faceted concept, distinct from its singularly-focused predecessor, with environmental security assuming an increasingly prominent role. In the late 1980s and early 90s, I served on the staff of the Senate Armed Services Committee, working for the chairman, Senator Sam Nunn. I was responsible for oversight of the nuclear weapons accounts, including the Department of Energy’s nuclear weapons complex, where we produced materials for the weapons on the Nautilus and beyond. When Bill Clinton and Al Gore were elected in 1992, with a commitment to environmental leadership, I was asked to lead the Defense Department’s environmental programs as the first Deputy Undersecretary for Environmental Security. 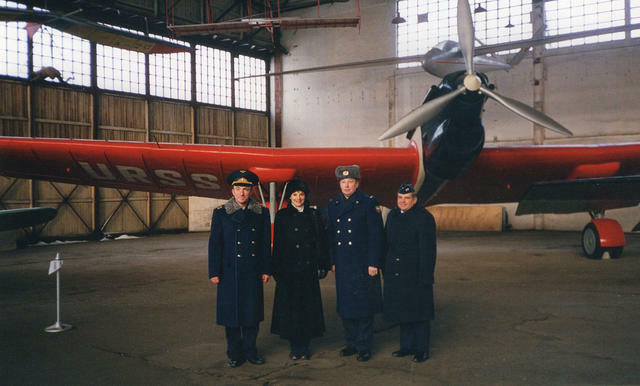 My job would take me across the country and the world, helping to integrate environmental considerations into American national security strategy, policy, and programs, including in the former Soviet Union and the High North. 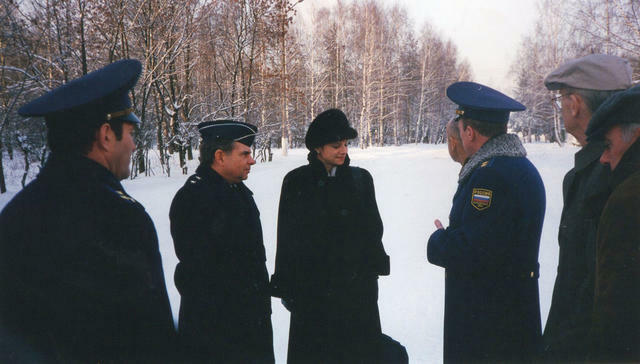 I recall several memorable evenings when, being pregnant with my second child, I asked a military member of the U.S. delegation to be my “designated drinker” as our Russian counterparts hosted one of their 80-proof “trust-building” sessions. Eight countries have sovereign territory within the Arctic Circle, and since the 1990s, we have known first-hand that environmental security in the region transcends borders. 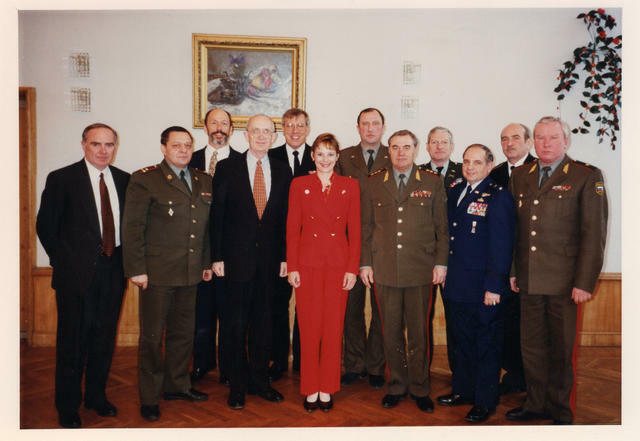 I had only been at DoD a short time when Norwegian Defense Minister Jorgen Kosmo asked U.S. Secretary of Defense William Perry (my boss) for assistance in engaging Russia on the clean-up of waste from more than 100 decommissioned Soviet nuclear submarines. He described it as the number one priority in the Norwegian-U.S. defense relationship. The vessels, rusted and ill-kept, lay in berth in Murmansk, on the Kola Peninsula, with pockmark ed hulls just barely holding in their radioactive contents. The Norwegians feared that the waste streams would leak into the water and spread into their prized fisheries. From these discussions, we created the Arctic Military Environmental Cooperation (AMEC), a program that would allow Washington, Moscow, and Oslo to work together to jointly manage transboundary radioactive waste issues in the Arctic. 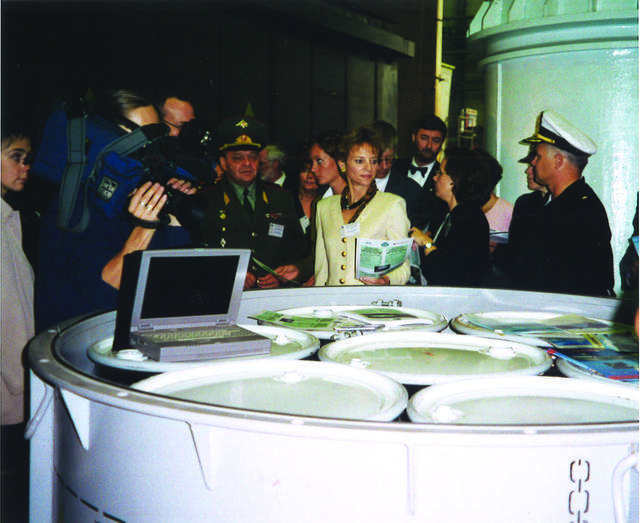 The AMEC Declaration highlighted “the need to ensure the conservation and sustainable use of the Arctic environment” and that cooperation among military organizations could provide “a valuable contribution to the established framework for international environmental cooperation in the Arctic.” AMEC’s most notable project was developing and producing the steel casks that were used to transport the submarines’ spent nuclear fuel across 2,000 miles of Russian landscape to Chelyabinsk, near the Kazakh border, to be securely stored. The success of this endeavour hinged upon trust between Washington and Moscow. In these halcyon days after the Cold War, officials on both sides of the now-dismantled curtain were looking to begin a new era. (I recall several memorable evenings when, being pregnant with my second child, I asked a military member of the U.S. delegation to be my “designated drinker” as our Russian counterparts hosted one of their 80-proof “trust-building” sessions.) AMEC accelerated the decommissioning and dismantling of the Russian nuclear submarine fleet. 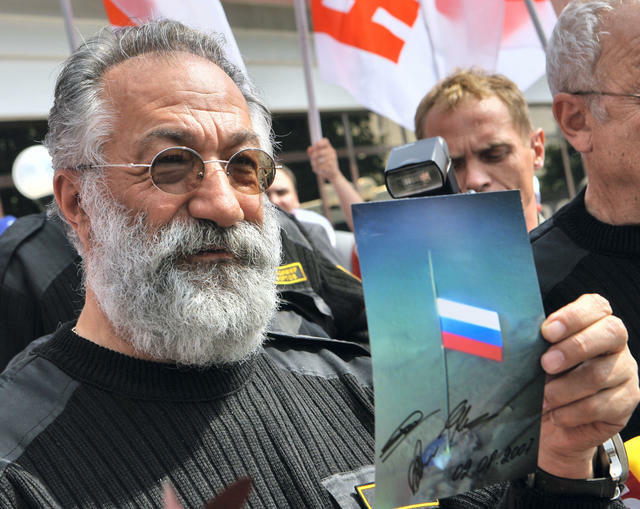 For the Russians, it showed that the two countries could work together, and for the United States, the joint efforts reduced a threat to an important NATO ally. The multifaceted nature of Arctic security was on full display; in tackling these radioactive waste challenges, we headed off an economic calamity for the Norwegians, reduced the risk of leaks or improper handling of dangerous waste, and bolstered military goodwill. AMEC ran for ten years and offered proof that transboundary environmental issues in the Arctic can be successfully addressed through joint technological innovation and military-to-military cooperation. Fast forward to the mid-2000s. The nexus of national and environmental security challenges was on the horizon, with increasingly warmer temperatures, rising seas, and prolonged droughts. I was now working at the Center for Naval Analyses (CNA), a research organization that advises the Pentagon and a wide range of national security leaders. I assembled the CNA Military Advisory Board to examine the national security implications of climate change. After a year of research, we presented our report to Congress and the Administration. It included a phrase I coined that people have associated with me ever since: climate change is a “threat multiplier” – accelerating instability in fragile regions and presenting significant new security challenges for the United States. Speaking of multipliers, we know that the Arctic is warming at twice the global average – meaning that some or all of these potentialities are coming fast. Today, in 2017, we are seeing that effect play out in the Arctic. Less sea ice means more water and more exposed land. More water and land mean more accessibility and more human activity, including shipping and development activity. That means more of a wide variety of security risks: the risk of oil spills and pollution from industry, affecting both the inhabitants of the Arctic and the natural environment; changes to fishery stocks, potentially affecting food supply; changes to coastlines, making certain areas uninhabitable and creating the first wave of Arctic migrants; and changes to atmospheric conditions stemming from warmer Arctic air, potentially exacerbating natural disasters thousands of miles away. A warming Arctic means increased access to, and competition for, resources; raised stakes in boundary disputes; and the feasibility of additional land- and sea-based military deployments and assets. Speaking of multipliers, we know that the Arctic is warming at twice the global average – meaning that some or all of these potentialities are coming fast. This all amounts to a general elevation of the Arctic’s global strategic importance as a vast new region emerges from the climate change era. Indeed, rising temperatures in the Arctic have multiplied the rise in geopolitical temperatures, specifically with regard to the United States and Russia. Now, make no mistake: the Arctic is still largely defined by cooperation. For example, American researchers are working with their Russian counterparts to reduce black carbon sources in the Russian Arctic. The U.S. and Russian Coast Guards are preparing for potential shipping emergencies together. The U.S. and Russian sides often work well at the Arctic Council, and two members of the Russian parliament joined their U.S. counterparts at the Wilson Center-Arctic Circle Forum in Washington this spring – a rare confluence amid today’s troubled bilateral relations. Overall, there appears to be a degree of recognition that the sides should derive some mutual benefit from their shared Arctic presence. All of this notwithstanding, there has been an undeniable increase in Russia’s defense posture in the Arctic of late, a build-up that has been covered extensively in the U.S. media. Previously unused Russian airstrips are being renovated to allow for large cargo aircraft to land, new airfields are being built, and Moscow is establishing new radar and other monitoring stations. 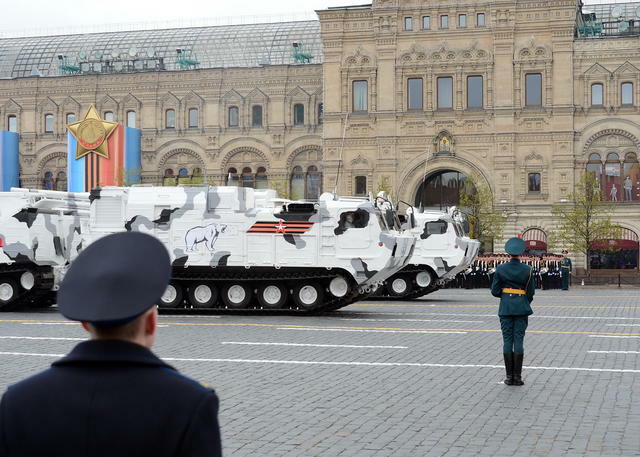 Massive military readiness drills have focused on Russian operations in the Far North, new Arctic Pantsir missile units were paraded through Red Square this year, and two new motor infantry brigades totaling 6,000 soldiers have been created specifically to protect Russia’s Arctic reaches. To manage all of this new development and training, a new military district was created in late 2014 under the control of the Kremlin’s newly-minted Arctic Joint Strategic Command. At the same time, established elements of the Russian military are deployable to the Arctic, like the Northern Fleet of the Russian Navy, based in Severomorsk on the Kola Peninsula, which has traditionally been the largest component of the force. As the seas remain open for longer and longer each year, the fleet’s ability to navigate in Arctic waters – and near a more navigable U.S.-Russian border – will only increase. What we may be seeing here is the creation of “facts on the ground” which become difficult to refute later on. The 2014 invasion and annexation of Crimea, the sovereign territory of Ukraine, by thinly-veiled Russian forces, have also raised questions about the value of Moscow’s promise to keep the waters of the Arctic a neutral territory under the rules of the UN Convention on the Law of the Sea. What we may be seeing here is the creation of “facts on the ground” which become difficult to refute later on. Mirroring how the Chinese government has built up installations on artificial islands in the South China Sea to claim that regional waters belong to Beijing, Russian deployment of assets to the High North could one day be used to argue that Moscow should control much of the Arctic Ocean. While I do not believe that we will see a shooting war over the North Pole any time soon, the United States must be able to project force into the High North, if necessary. Admiral Paul Zukunft, the current commandant of the U.S. Coast Guard, recently said, “They’ve got all their chess pieces on the board right now, and right now we’ve got a pawn and maybe a rook. If you look at this Arctic game of chess, they’ve got us at checkmate right at the very beginning.” The U.S. clearly needs to increase its capability to operate safely and securely in the Arctic region. That’s why increasing U.S. icebreaking capability and infrastructure in the Arctic is an important national interest. However, Washington must also recognize that about a fifth of the Russian GDP comes from the Arctic. With the opening of more sea routes and, what’s even more enticing, the major, new possibilities for oil, gas, and mineral extraction, one can understand why Russia would be interested in strongly dissuading would-be challengers. 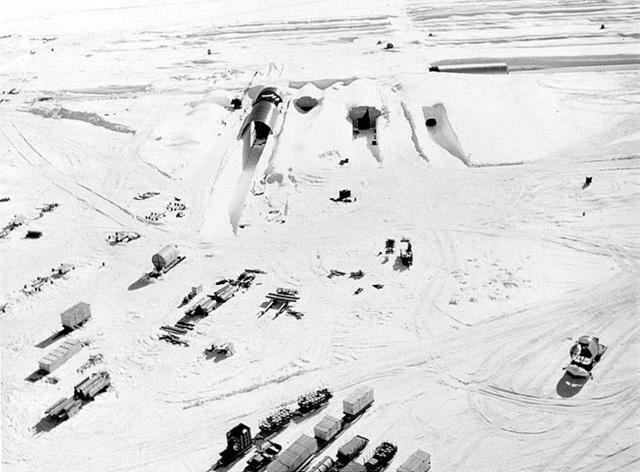 It is now almost 50 years since the start of Project Iceworm, the secret U.S. Army plan to test nuclear launch capabilities from the Arctic. The initiative, a largely forgotten footnote of the Cold War, suddenly made headlines last year. A climate modeling study suggested that the long-buried camp which housed the project could be exposed within about a century due to ice loss from climate change. Eventually, the study claimed, sewage, fuel, PCBs, and radiological waste from the camp could be released. Could this be a metaphor for the changes I have seen in the Arctic over my career? While this scenario is a long way from playing out, it would be a classic case of an environmental security threat in the Arctic, with international ramifications, now exacerbated by climate change. Perhaps, for the more literary among us, it could also be seen as an ironic reference to the new U.S.-Russia security dynamic in the Arctic today. I remain hopeful that cooperation will continue to win the day in the Arctic, but one thing is for sure: environmental security will continue to be a primary issue for this region, with increasingly sensitive geopolitical implications. The United States should be prepared for a wide range of contingencies. Sherri Goodman (@GoodmanSherri) is a senior fellow at the Wilson Center. She previously served as U.S. deputy under secretary of defense for environmental security, president and CEO of the Consortium for Ocean Leadership, and senior vice president and general counsel at CNA. Is Russia Going Hard or Soft in the Arctic?